The funky artwork on this seasons shorties is designed exclusively for Punk Baby by NZ artist Nadia Flowers to ensure your babe will be setting the trend, not following it. Brace yourself for the flurry of comments about how cute your baby is looking in their new Punk Baby gears – Nana won’t even notice they’re covered in skulls, because she’ll be too busy complimenting you on cooking up the cutest kid ever! There is nothing more perfect than a chubtastic little pair of punk baby thighs peeking out from under their new shorties. 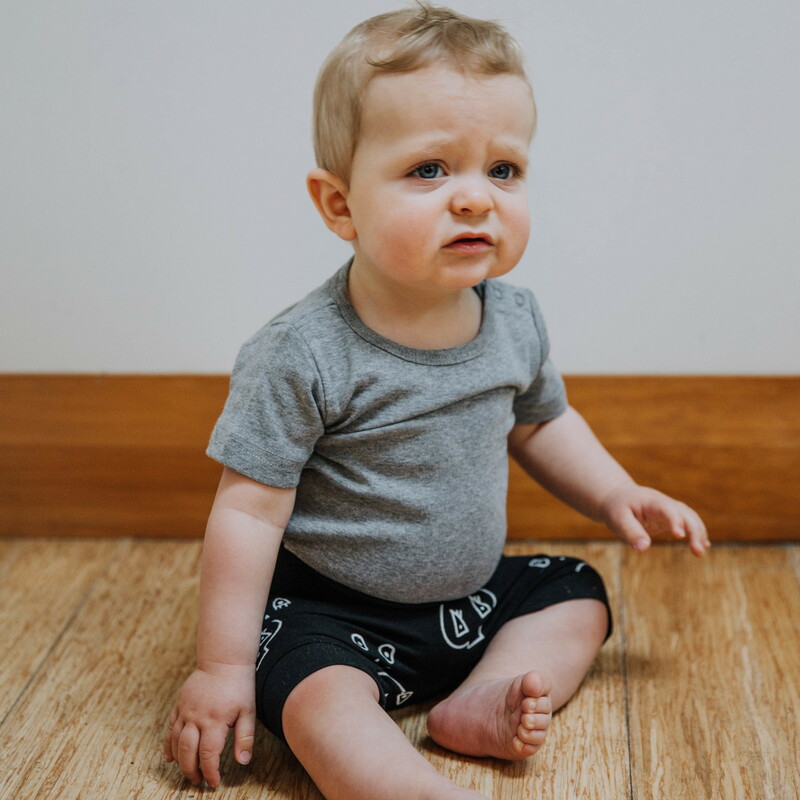 Super soft fabric waistband and cuffs means bubs will be content and comfy – and the simplicity of getting them off and on makes nappy changes that much easier – yipee!